I have said this before and I’m saying it again on this blog entry, most Colombians don’t eat salads or vegetables that are not potatoes or cassava, unless they’re used for making some kind of seasoning like hogao. That is why it’s so rare to eat salads as a whole meal, and if they’re served with a meal they’re very simple, like the recipe we’re making today. It’s made with green cabbage, tomato, carrots, cilantro and some times, onion. 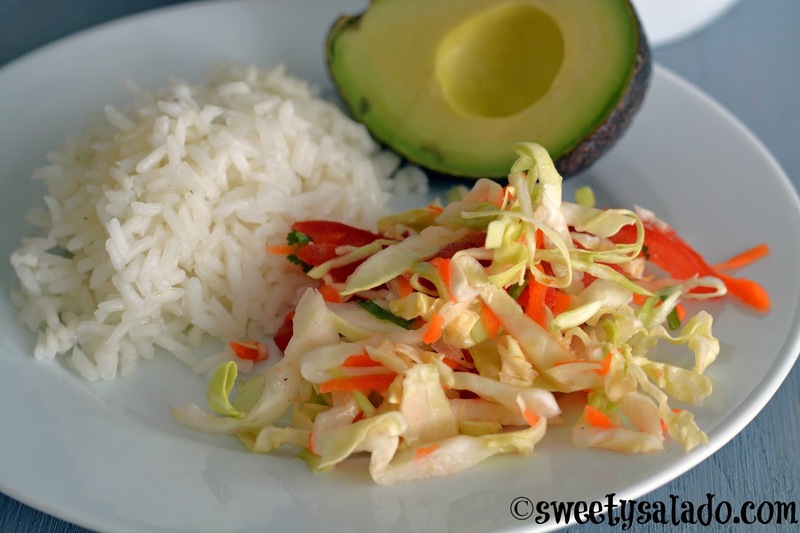 This salad is usually served right next to the rice and very close to an avocado, that’s why I always say that it’s probably so we don’t feel guilty about not eating healthy. My great aunt made it even more plain by only using cabbage and carrots, but the dressing was practically the same, made with vinegar and lime juice. That’s why I couldn’t stand it when I was a kid and refused to eat it. However, I now love it as an adult and it’s mainly because it reminds me a lot of Colombian food as soon as I taste it. 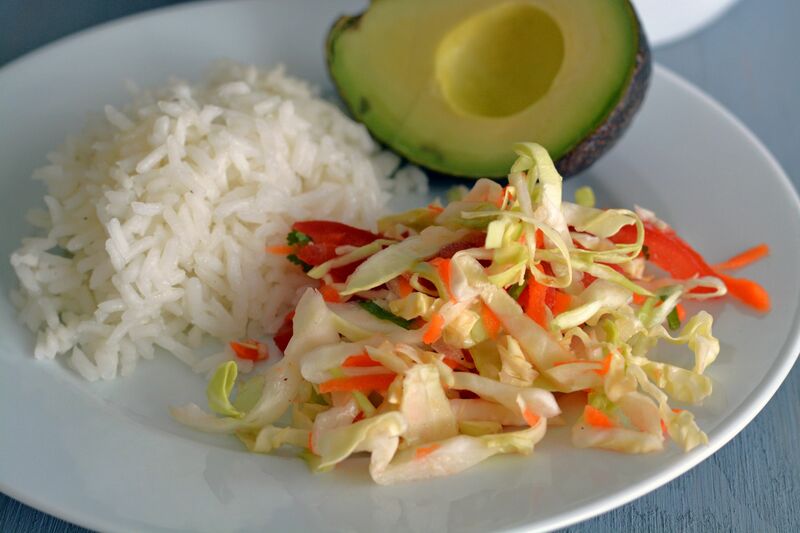 If you’re Colombian, you ‘re going to remember all the Colombian meals that are served along with this salad. 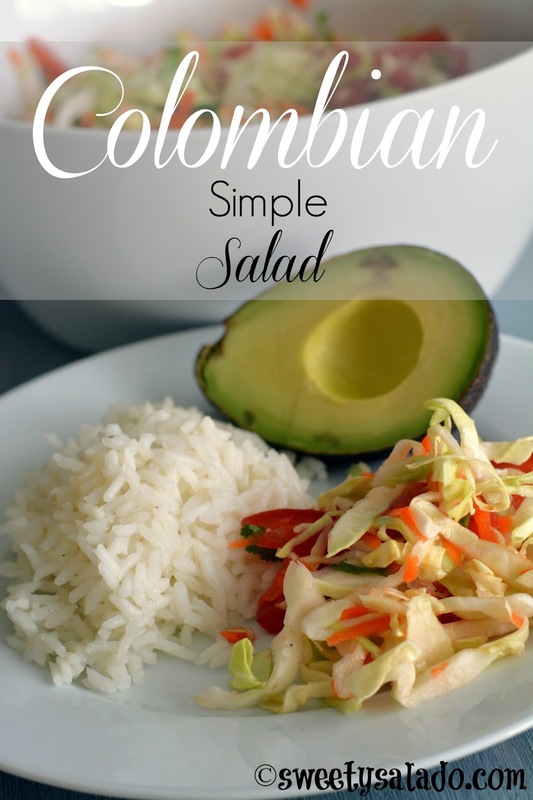 Not one sancocho, stew or bandeja paisa is served without the presence of this simple salad, even if it’s left alone, sad and depressed, served on the table without anyone touching it. Mix the first 5 ingredients in a small bowl to make the dressing. Start with the juice of 2 limes but if you want it with a stronger lime flavor, add the juice of the third lime. In a big bowl toss the cabbage, tomatoes, carrot and cilantro. Pour in the dressing and toss again to make sure all the ingredients are well covered. Cover the salad with plastic wrap and refrigerate for 30-60 minutes before serving.